Why has inequality increased in the Western world - and what can we do about it? In The Great Divide , Joseph E. Stiglitz expands on the diagnosis he offered in his best-selling book The Price of Inequality and suggests ways to counter this growing problem. 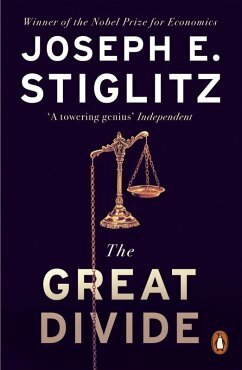 With his characteristic blend of clarity and passion, Stiglitz argues that inequality is a choice - the cumulative result of unjust policies and misguided priorities. Why has inequality increased in the Western world - and what can we do about it? In The Great Divide, Joseph E. Stiglitz expands on the diagnosis he offered in his best-selling book The Price of Inequality and suggests ways to counter this growing problem. With his characteristic blend of clarity and passion, Stiglitz argues that inequality is a choice - the cumulative result of unjust policies and misguided priorities. 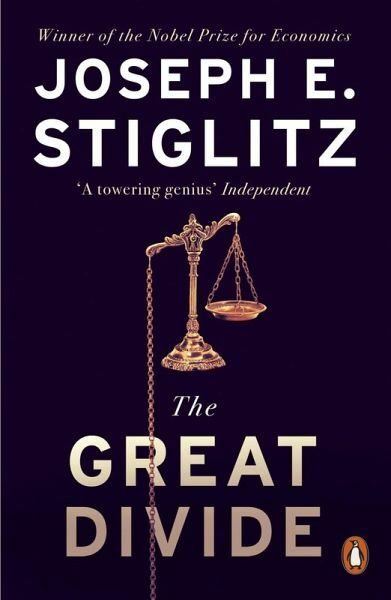 In these essays, articles and reflections, Stiglitz fully exposes the inequality - from its dimensions and its causes to its consequences for the world - that is afflicting America and other Western countries in thrall to neoliberalism. From Reagan-era policies to the Great Recession and its long aftermath, Stiglitz delves into the processes and irresponsible policies - deregulation, tax cuts for the rich, the corruption of the political process - that are leaving many people further and further behind and turning the dream of a socially mobile society into an ever more unachievable myth. With formidable yet accessible economic insight, he urges us to embrace real solutions: increasing taxes on corporations and the wealthy; investing in education, science, and infrastructure; helping homeowners instead of banks; and, most importantly, doing more to restore the economy to full employment. Stiglitz's analysis reaches beyond America - the inequality leader of the developed world - to draw lessons from Scandinavia, Singapore, and Japan, and he argues against the tide of unnecessary, destructive austerity that is sweeping across Europe. Ultimately, Stiglitz believes our choice is not between growth and fairness; with the right policies, we can choose both.